L. J. Martin is the author of over 30 book length works from such major NY publishers as Bantam, Avon, and Pinnacle. His works of fiction include westerns, thrillers, mysteries, and historicals; and of non-fiction include a book on killing cancer (hes a two time cancer survivor), a cookbook, a how-to book on writing, a book of cartoons, and a political thesis. Many of his recent titles have been best sellers on the Number 1 bookseller in the world, Amazon. His avocations include photography (with over 100 videos on Youtube (see ljmartinwolfpack), cooking (see wolfpackranch.com), travel, gardening, shooting, fishing and hunting. L. J. lives in Montana with his wife, Kat, a NYT bestselling internationally published author of over 55 historical and romantic suspense novels. When not writing, the Martins travel extensively, both stateside and abroad, gaining new material, making new friends, and enjoying this great world. They live in Montana in the shadow of that states beautiful Sapphire Mountains, on a small horse ranch with the two million acre Lolo National Forest as their backyard, and winter in California near the Santa Barbara channel. L. J. is a member of The Society of Professional Journalists, Mystery Writers of America, Western Writers of America, Western Fictioneers, and Thriller Writers of America. 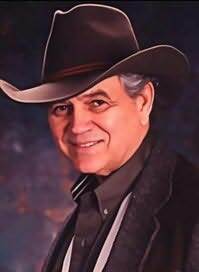 Accomplished in Western History, hes available as a speaker on that subject and writing (see his Write Compelling Fiction), and has spoken and given seminars at several writers conferences. "William M. Gear has written a sweeping epic of our time, the Lonesome Dove of our decade.It's an epic of the Civil War, beautifully illustrating not just the brutality of the Civil War but also how the war changed men, women, and families as they fled nightmares and memories. If you don't mind tasting coppery fear, feeling blood seep through your fingers, and being shocked by the roar of cannon as friends fall around you, pick this one up."